The tool was created based on community partner experiences and food pantry feedback. An influenza virus, H3N8, is causing its typical seasonally-increasing number of cases in Western Washington. TACOMA, Wash. – Farm Breeze International, a specialty crop export company headquartered in Tacoma, did $7.5 million in revenue in its first year selling tree nuts and fruit concentrate to China. In its second year, 2016, it shipped 15 million pounds of tree nuts and revenue more than tripled. TACOMA, Wash. – Kory Brown knows business. In fact, he’s a professor of business at Pacific Lutheran University in Tacoma. Still, when he and his wife, Pam, decided to purchase a Great Clips franchise, they enlisted the help of the Washington Small Business Development Center (SBDC). SUMNER, Wash. – Torklift International has made hitches, suspension products, steps and more in Washington since 1976 and started building export capacity about 10 years ago. Sales in Australia have been so strong that in 2015 the company opened a warehouse and distribution center in Sydney. GIG HARBOR, Wash. – If you want a diverse education in ecology, psychology, history, art, design, computer graphics, problem solving and policy, not to mention public speaking, a degree in landscape architecture from the School of Design and Construction at Washington State University is just the ticket. 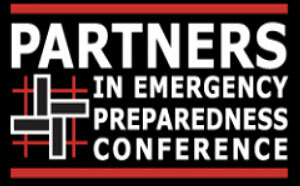 TACOMA, Wash. – The Northwest’s largest emergency preparedness conference will be April 19-21 at the Greater Tacoma Convention and Trade Center. PULLMAN, Wash. – Washington State University Extension’s Cultivating Success courses are designed to make starting and maintaining a farm business easier. The courses are offered regularly in counties across the state and can be taken in any order. Registration is open for fall courses. DES MOINES, Wash. – Starting your own business is stressful enough, but doing so just months after your wife is diagnosed with breast cancer takes stress to a whole new level.